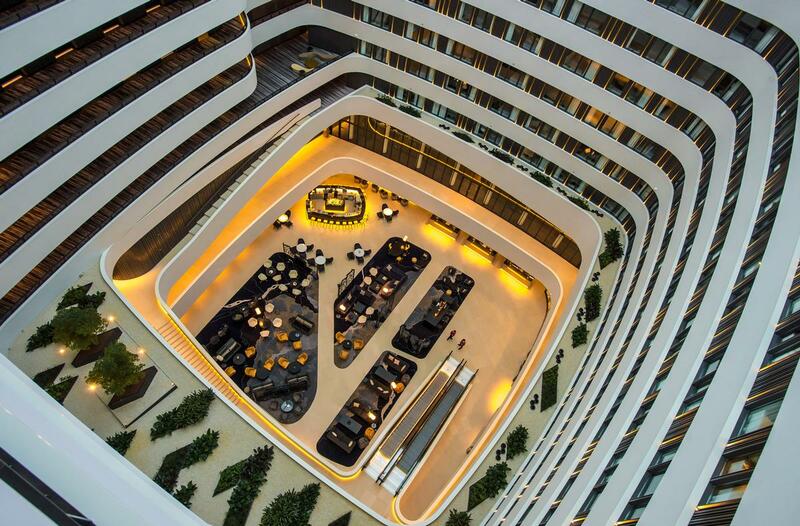 Mecanoo design dramatic, diamond-inspired Hilton in Amsterdam Archi-new - Free Dwg file Blocks Cad autocad architecture. Archi-new 3D Dwg - Free Dwg file Blocks Cad autocad architecture. 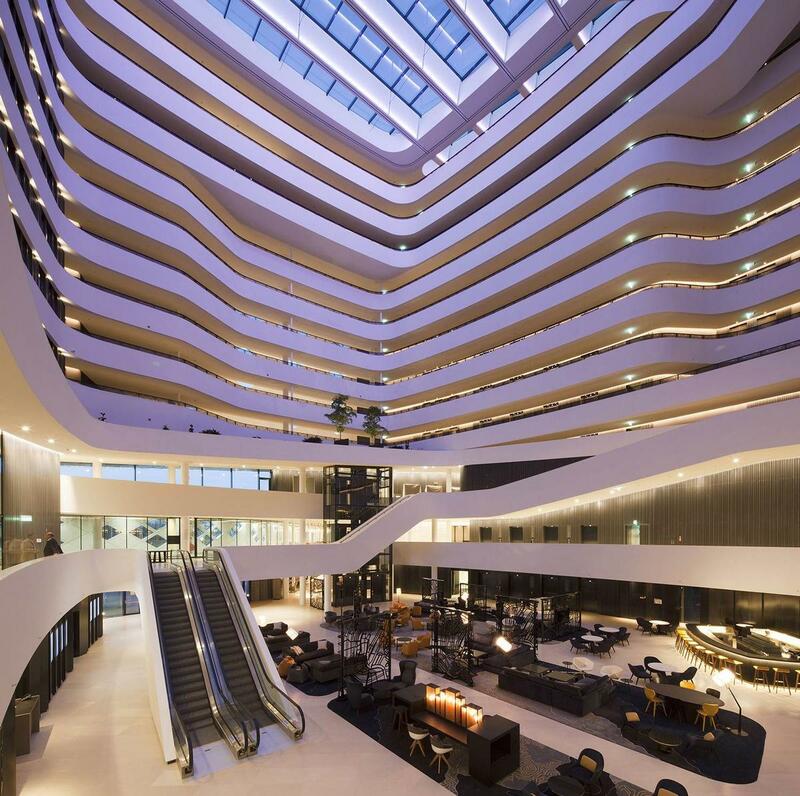 Hilton Worldwide has opened it latest addition – the Mecanoo-designed Hilton Amsterdam Airport Schiphol – which features a dramatic facade comprising a cubic, moulded structure with a distinctive pattern and a vast glass-roofed atrium. 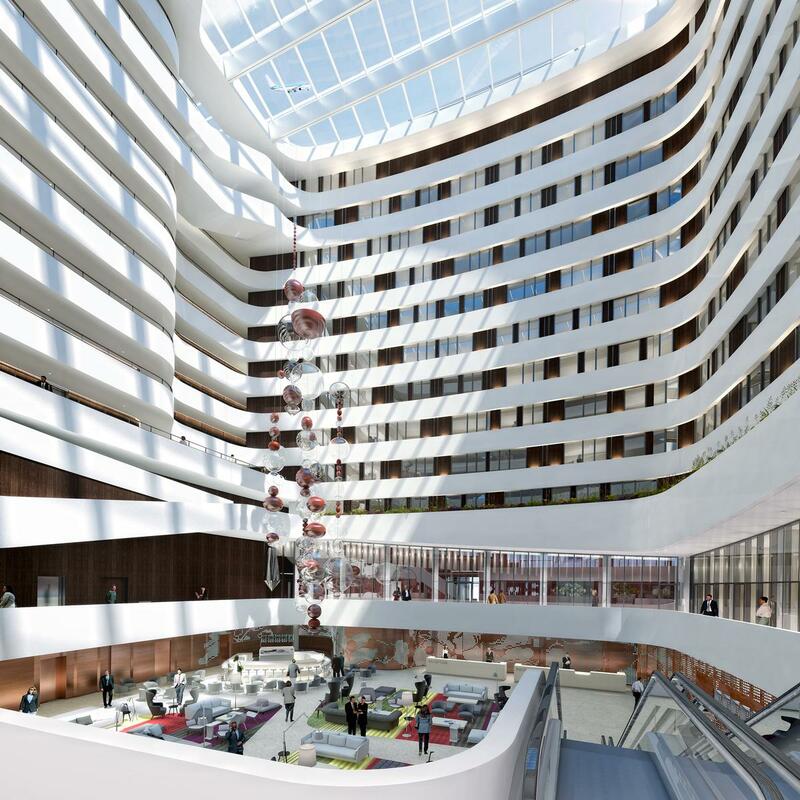 The hotel, designed by the Dutch architects, will certainly have a visual impact on passengers arriving and departing from the airport, with the 3,150sq m (33,900sq ft) complex having three main elements: a plinth, a rotated tower with 433 hotel rooms and a passageway connecting the hotel with the airport. 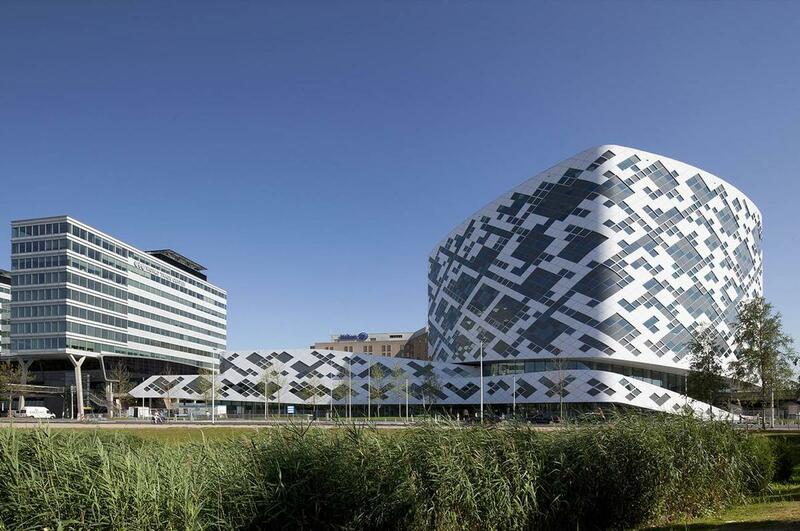 A combination of glass with grey and white panels has created a distinctive diamond pattern designed to unite the three elements and make the building immediately recognisable. At the heart of the project is the 42m (138ft) high atrium – sheltered by a huge glass roof – which features unique 'islands' serving as multi-functional spaces, including a reception area, lounge and bar and indoor gardens. British interior design company The Gallery HBA have designed the hotel’s interiors, using timber slats, frames and cladding to create a natural feel. These are subtly contrast with contemporary furnishings and a selection of bespoke art pieces – including a series of headboards for the guestrooms representing the Dutch landscape – created by Spanish artist Israel Páez. The hotel also features a selection of bars and restaurants – including the intimate 20-capacity Vine Room for special events – a Hilton eforea spa, a 24-hour fitness centre, a swimming pool, a ballroom and 1,700sq m (18,300sq ft) of meeting and event space. The building – which is owned by Dutch developer Schiphol Real Estate – is situated adjacent to the site of the original Hilton Amsterdam Airport Schiphol, which opened in 1972 but closed in November 2015. 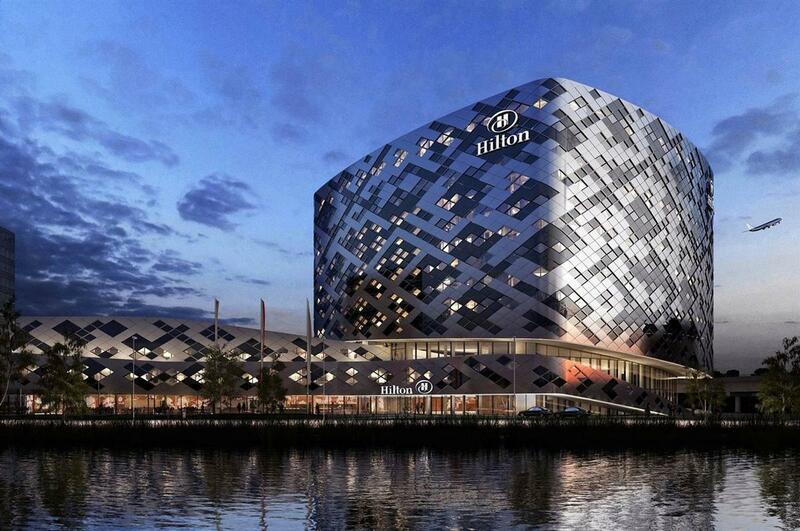 Hilton Worldwide now operates six hotels in Amsterdam. The atrium features 'islands' serving as multi-functional spaces, including a reception area, lounge and bar and indoor gardens.